on the passing of her mother MADAME SAFIA DANDAMUN who suffered from breast cancer. Madame Safia will be remembered for her diligence and perseverance. one who lived the Meranao dream of making it good in Manila despite the odds. even during the most difficult time of her medical treatment. Inna lillahi wa inna ilayhi raji-un. (From Allah we are from, to Him we shall return). July 2 marks the official start of this year’s Nutrition Month celebration guided by the theme “Pagkain ng gulay ugaliin, araw-araw itong ihain!”. The National Nutrition Council of the Department of Health kicks-off the nationwide celebration with the planting of vegetables by school children of the Concepcion Elementary School in Marikina City. The children will be joined by Health Secretary and NNC Chair Enrique Ona, Agriculture Secretary Proceso Alcala, Social Welfare Secretary Dinky Soliman and Education Secretary Armin Luistro together with NNC Executive Director and concurrent Assistant Secretary of Health Maria-Bernardita Flores. Thousands of school children are expected to plant vegetables in public elementary schools. The Department of Education issued a memorandum encouraging all schools to celebrate Nutrition Month with the simultaneous planting of vegetables as part of its share to promote consumption of vegetables among children as part of a healthy diet. This year’s Nutrition Month celebration aims to encourage every Filipino to eat more vegetables, i.e. 3 servings or more per day, to add more vitamins and minerals in the diet as well as prevent non-communicable diseases such as various forms of cancer, cardiovascular disease and diabetes. As vegetables have less calories, adding them to the diet can help people to reduce weight or maintain normal body weight. A serving of vegetable is equal to a cup of raw leafy vegetables or ½ cup of raw or cooked non-leafy vegetables. The campaign is in response to the finding that the average Filipino eats less and less vegetables per day in the past 30 years. Based on the food consumption surveys of the Food and Nutrition Research Institute, Filipinos eat only about 2 servings of vegetables on average or about 110 grams. The vegetable consumption has been declining since 1978 when Filipinos still ate 145 grams per day. The data is alarming considering that low fruit and vegetable intake is among the top 10 selected risk factors for global mortality based on a World Health Organization Report. The report also showed that 1.7 million deaths are due to low intake of fruits and vegetables. The Nutrition Month campaign also aims to encourage families, schools and communities to put up vegetable gardens to ensure supply of fresh and nutritious vegetables. The FNRI also reported that only 67.7% of Filipino households have vegetable gardens or fruit trees. Having vegetable gardens can help in reducing malnutrition and hunger especially among poor families. A/Sec Flores also added that “Young infants starting at 6 months, should be given pureed, mashed and finely cut green leafy and yellow vegetables. This can be added to thick lugaw to make for a nutritious complementary food in addition to breastmilk.” The NNC is very concerned that infants 6-11 months old had an intake of only 2 grams of vegetables while 1 year old children had an intake of 8 grams per day on average. For young children, vegetables are important sources of vitamin A and iron which are important nutrients that improve children’s immune system, growth and development. Other government agencies, non-government organizations, local government units, private sector and civil society are expected to also conduct various activities to help in promoting vegetables consumption. Life is a precious gem given to us by GOD. It was so beautifully and wholly constructed by the creator for us to nurture with faith, perseverance and patience and with a God – fearing attitude. Every human being wants to live. Everybody wants to live. Everybody wants the best this life can deliver. But, what and how this best in life can be delivered if you will just want and wish for it. It’s impossible! Do it…. And put some more practical success building wisdom that we know ….. “Faith can move mountains.” We should really believe we can move a mountain and we can really do it. Remember, not many people believe they can move mountains, so not many people do. Believing is a power that is not mysterious or magical. Belief in ….. “I can do it or I’m positive I can do it” attitude. From its origin – power of belief will generate skills and energy needed to do which the how-to-do-it develops. If you have great faith, the power of perseverance and patience in the how-to-do-it follows. For me, my belief in life to succeed from retiring being an educator is just so simple. Within my stay in the Autonomous Region in Muslim Mindanao, first in the private institution then in the government, it was not to be able to meet untoward negative attitudes to my services. I was able to have so many successful students, whom most of them have already more of their personal prosperity like fine homes, fine leaderships, spiritual and financial securities and self – respect in finding real happiness and satisfaction in life. I also consider my retirement a freedom, to be free from the fear of frustrations and failures. Being cleared from this office and was able to enjoy privileges, especially the life GOD had shouldered upon me. All of these come to me so smoothly!!! Thanks to God! More power to the followers…. PNoy: "the mission of government is to take actions to create fairer outcomes for society"
It is in conventions like this where we get the opportunity not just to share our ideas with our colleagues from all over the world, but also to listen and learn from one another. So perhaps you will allow me to begin by sharing some of my views on governance. I have always been a firm believer that the mission of government is to take actions to create fairer outcomes for society. And among the jobs of a President is the efficient allocation of resources, so that the government can achieve those outcomes. This is the underlying philosophy that informs all of our decisions. Which leads one to ask: Why is this important? Why have we chosen to focus on anti-corruption and anti-poverty as a means to achieve these fairer outcomes? If we take a moment to look at what is going on in the world, we see that the disparity between the rich and the poor, between the powerful and the powerless, has widened over the last few decades. This has led to turmoil in the Middle East, and to some extent, to the political discord we have heard about in the West. What we are seeing here is the social contract that holds these societies together fraying at the edges. Those at the fringes are beginning to question whether this social contract does indeed ensure everyone a fair share of responsibilities and benefits; and this has affected the social cohesion—the togetherness—of some countries. This is precisely why our administration focuses on inclusive growth and anti-corruption, in particular. If we ensure that growth is inclusive, from those in the center to those in the margins of society, then all of us will feel that we have a stake in keeping society moving forward, and will do our fair share to make sure that this happens. So, how exactly have we done this? How have we put flesh to the idea? For one, we are equipping more than three million poor households with the resources to cope with the challenges that come their way through our conditional cash transfer program; and we haven’t stopped adding to this list. In two years, we have nearly quadrupled the program’s budget, from ten billion pesos in 2010 to P39.4 billion this year—and may I add, we did this without raising our taxes. This program will have families sending their children to school; it will have their infants and their mothers going to medical professionals for check-ups. These are the poorest of the poor, and we are empowering them to pull themselves out of their plight. I have always believed in the capacity of the Filipino to rise above their circumstances, and we need to give them the opportunity to do just that. We are also getting more and more of our countrymen covered by health insurance. We have raised the number of Filipinos registered in PhilHealth, from 74 percent in 2010, to 82 percent today. And this is with the goal of having every Filipino registered by the time I step down in 2016. We need to invest in our countrymen so that they can truly feel that they have a stake in our country. This is how we are strengthening the glue that holds society together. This is also why we have been focusing on improving areas that have, for so long, been neglected by officials who only looked after themselves. For example, we have synchronized the ARMM elections with national elections—to foster genuine political competition, authentic choices for voters, and to eliminate the idea of the ARMM as a vote bank for those who want to buy and sell votes wholesale to affect the outcomes of the polls. This is why we have released 8.59 billion pesos worth of projects in that region, so that the people there can finally feel what it is like to have a government that actually works for them. Likewise, this explains why we have been consistent in holding peace talks with rebel groups, because, as we have learned from what is going on in the world, progress is impossible if a nation stands divided. Now, what were formerly breaking points of our society are becoming the durable joints of a formidable whole. We are learning from the mistakes that have led to crises in other places, and the world has embraced our efforts. The global community has recognized the seriousness of our goal to close the gap between rich and poor, and to eradicate corruption. Transparency International, for example, cited an improvement in government service and the cutting of red tape as the reasons behind our steadily improving rankings in their Corruption Perceptions Index. In 2008, we were ranked at 141st; and we have progressed to 134th in 2010, and to 129th in 2011. Of course we should not stop until we go below 100 and further than that. This, without doubt, is in large part due to some of the excellent people in your field. We have also been invited to, and are a founding member of the open governance partnership. Clearly, our reforms have won us momentum. And it is up to us, to all of us—whether in the private or public sector—to maintain this momentum. There remain serious challenges ahead. The problem of poverty is one that must be solved. There are still corrupt officials who will be prosecuted and jailed. The changes we envision are massive, and these changes cannot be enacted by a single office. We have to do it together. Many of you here know this. After all, through the years, the National College of Public Administration and Governance has done more than its share of producing graduates who contribute to nation-building, and who help nurture institutions in government and in civil society. This is the institution we turn to, if we want to find some of the greatest, unheralded heroes of our bureaucracy. This is why I made it a point to be here today: many of you, in one way or another, represent the backbone of our bureaucracy—people of excellence who work tirelessly with dedication and professionalism, so that we can truly change this country for the better. As your President, I know that if our administration succeeds in instituting widespread reform in this country, it will have been because of people like you; and I want to thank you all for your service. Filipinos have already begun to move towards a larger realm of possibility. Only a few years ago, we had been hopelessly caught in a spiral of apathy and paralysis. We had become used to scandals of graft and corruption that faded away with no one held to account. Today, we continue to dream—and dream bigger at that. More than becoming self-sufficient in rice, we have taken the steps so that in all probability we can begin to export rice to our neighbors in the next few years. More than jobs for our people, we can start thinking about higher and higher qualities of work and the best way to equip our people with the necessary skills for that work. And more than protecting the rights of our OFWs, we are laying the foundations so they can think about coming home. Through our shared efforts, we are beginning to realize the dreams we share with the Filipino people. We have, in fact, been steadily and noticeably upgrading the Filipino dream. With your help: imagine the impossibilities we can make possible, and achieve. And before I end, may I ask you, perhaps, in your free time, or perhaps in a very conscientious and directed manner, perhaps you can help me answer one question: How do we transform not just our officials but also our populace—to looking at their officials not just as the provider for solutions but rather as the enabler of solutions. Partnerships like this will undoubtedly bring us to our dreams closer and faster. If you’re a registered voter of the ARMM, you’re not anymore. Thus said the Commission on Elections, in light of a joint resolution from both Houses of Congress, annulling the book of voters of the municipalities/cities in the Autonomous Region in Muslim Mindanano (ARMM). 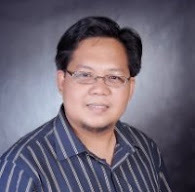 “The practice of padding the Book of Voters has been resorted to by unscrupulous political leaders to perpetuate themselves in power and gives them a sense of invincibility to commit unbridled abuses and anomalies… The anomaly in the ARMM has national ramification because these ‘ghosts’, fictitious and double (some are triple) registrants constitute the so-called ‘command votes’ or ‘controlled votes’ wielded by political warlords that could decide the winner not only in local but most importantly the national elections,” the Joint Resolution said. There were 1,778,817 registered voters in five provinces of the ARMM (Basilan, Sulu, Tawi-Tawi, Maguindnanao and Lanao del Sur), according to the COMELEC. The COMELEC is set to conduct a general registration of voters in the region starting July 9-18, 2012. Retirement from service, for me, is not an exciting event to behold, but a nostalgic situation full of remorseful amusements. It was sixty-five years ago, when the service of this educator began. Thirty years were started in the private schools run by Columbian Priests. It was not so easy but there a lot of nice and interesting experiences. Her last fifteen years of being a Secondary mentor was in a government school under the Autonomous Region in Muslim Mindanao. As an educator, her feeling towards this is full of commitments, nice, authentic, unforgettable experiences – SHARED EXPERIENCES! She had spent half of her life with the Maranaos, Tausugs, and Maguindanaons. She had grown much in the Dialogue of Life and Faith. Yes, she had an automatic retirement – sixty-five years of age from the government service - - - - - 2006 - - - 6 years ago. “Ma’am, the sentence is, - - Maugat the Carabao. (Mao got the carabao. )” “I’ll just draw your nose Ma’am.” “Bawal nakasimangot dito Ma’am” “The boys eat hurriedly yesterday.” “He does goes home late.” She really got mad at these situations. She shouted and showed her fists at them. Sharp eyes too!! Thus, with this experience of problematic students, the teacher had to go through deeper at this situation. Again, the same lesson the following day to have rapport with students particularly. Cleared! We were able to build bridges by showing mother and children relationship…… love and respect had grown…entrusting their being as a person. A…a…a….. it’s time! The bell had rung, for the third period in English III – Hyacinth. SAD, only to find myself, in my sofa in the house for an afternoon nap. Bang, bang, bang …….. Awakened…. I was able to take note, as if alive, names and faces of my students, in the row, doing crimes. GOD, what have I done to them? What touch of value did I show them? Hoy…. Tingnan mo’ng dinadaanan mo… a tricycle driver hysterically shouted at me… looking at the streamers of achievements along my way, reminiscing all their faces, names and titles …. Exclaiming deeply…. They are my students before, they are all over there, everywhere and abroad. REMARKABLE! Thanks to ALLAH!!! Six (6) teachers from Lanao del Sur IIA and Basilan Divisions are off to Brunei for the 8th cohort of the School Leadership Program (SLP) jointly managed by DepEd CO and the Brunei Ministry of Education. The SLP is implemented by the Institute for Leadership Innovation and Advancement at the Universiti Brunei Darusaalam (UBD). The DepEd-ARMM participants coming from Bacolod Central Elementary School and Sumisip National High School will stay in Brunei from the 19th to the 23rd of June 2012. After the program, they will implement what they have learned in Brunei in their respective school. Cotabato City - There is nothing better to welcome the students in remote rural villages upon their return to schools than the news that they soon will be able to watch educational television programs courtesy of electricity from solar power. Principals and heads of all 42 schools in Maguindanao and Tawi-Tawi signed a Memorandum of Understanding with the Alliance for Mindanao and Multi-Regional Renewable/Rural Energy Development (AMORE) Program for the schools’ electrification through solar photovoltaic systems. 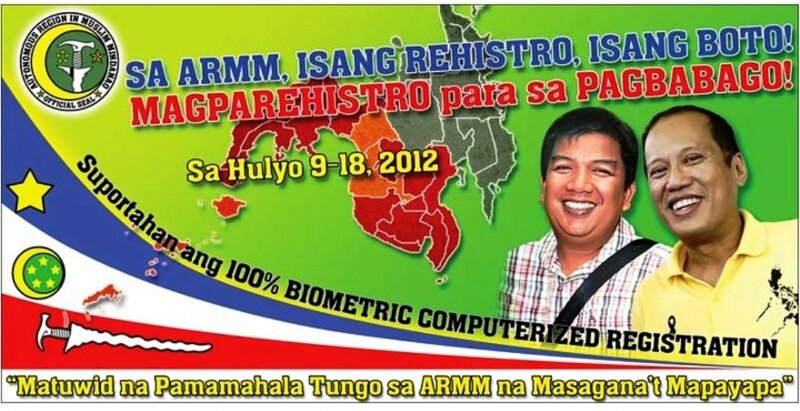 On to a brighter, energized ARMM. A mural of two sad students with a bleak future (left photo) is transformed into a vibrant picture of the same students, this time smiling and with a bright future. Providing every student in the ARMM with access to good, quality education is the ultimate goal of the partnership between the AMORE 3 Program and the Department of Education-Autonomous Region in Muslim Mindanao (DepEd-ARMM), which recently formalized their joint undertaking to implement school electrification projects in Tawi-Tawi and Maguindanao with the signing of a memorandum of understanding. Present during the MOU signing were (right photo) are ARMM Chief of Staff Amilhaya Sangcopan, DepEd ARMM Assistant Secretary Mohammad Noor Saada and AMORE Chief of Party Laurie Navarro. ARMM Regional Governor Mujiv Hataman was represented by his Chief of Staff Amihilda Sangcopan, DepEd-ARMM Sec Atty Jamar Kulayan by Asec Noor Mohammad Saada and AMORE by its chief of party Laurie Navarro. Also present were BEE Director Shuaib Maulana, BSE Director Hamid Ladjakahal, SDS Bai Alibai Benito-Aliuden of Maguindanao II Division and SDS Bai Meriam Ampatuan-Kawit of Maguindanao I Division. Also present were school heads from the target divisions. The elementary schools – found in remote areas that are not reached by conventional electricity – will also receive educational television packages that consist of a television set, a DVD player and one whole set of educational DVDs that contain programs designed to complement the Department of Education’s basic education curriculum. The Autonomous Region in Muslim Mindanao has been a major destination of community development projects of the AMORE Program since 2002. A rural electrification program that facilitates access among remote off-grid communities to stand-alone renewable energy technologies, AMORE has so far energized at least 300 rural schools mostly in Mindanao, nearly half of which are in ARMM. More than 70,000 students have so far benefited from renewable energy-powered electricity and modern educational technologies. Fun and interactive learning, a more effective and impactful teaching, and improved overall school performance are just some of the documented impact of solar-powered educational television in the remote schools. By connecting students in poor rural villages to modern technology, AMORE strives to give thousands of students improved learning environment, and thus, a chance at a better quality of life in the future. Solar-powered educational television increase young people’s knowledge and tease their imagination of another world quite different from theirs. More than 10,000 elementary school students in Maguindanao and Tawi-Tawi are expected to benefit from the solar photovoltaic modules donated by the SunPower Foundation, whose main company has solar photovoltaic manufacturing plants in Batangas and Laguna. To ensure that the benefits of solar power and educational television are maximized, the various school administrations take the lead in the equipment’s operations and maintenance. They also enlist the cooperation of their respective parents-teachers-community association toward a successful project maintenance. The AMORE Program is a rural electrification alliance between the United States Agency for International Development, Department of Energy, SunPower Foundation and Winrock International. It has so far given renewable energy and lighting access to over 17,000 households in more than 500 remote off-grid barangays in Mindanao. In view of this Register of LET Passer-Applicants and the CSC rules on meritocracy, LET passers will be preferred in all Teacher 1 vacancy, whether new or old item. All Divisions and the Regional Personnel Section are hereby advised not to entertain non-LET applicants and to refrain from endorsing the same to the Regional Office. New LET passers can lodge their application at the division and regional offices, Offices of the Regional Governor and Executive. A memo will be issued to the Divisions and the Regional Personnel Section directing them to disseminate this memo within their jurisdiction and to post the same at conspicuous places. 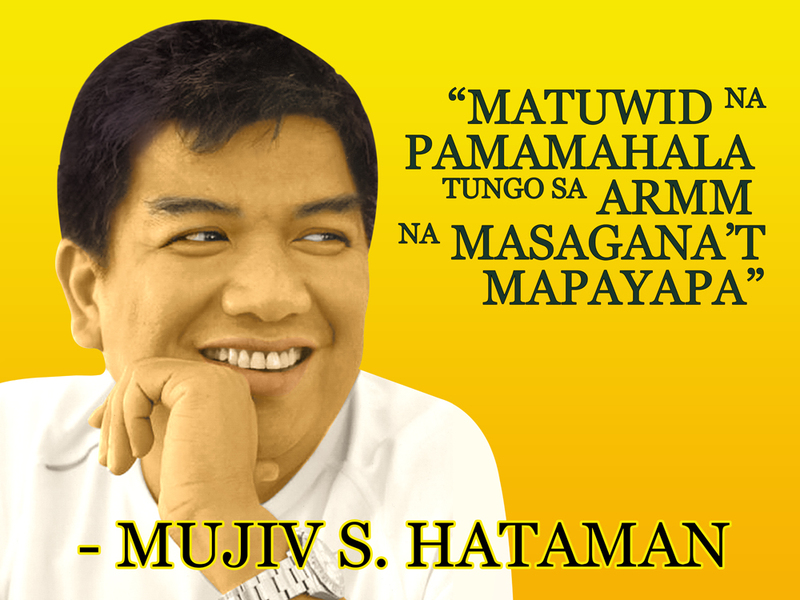 The whole ARMM can be likened to a TREE, when the roots and branches, the local governments grow and bloom, the whole TREE is strengthened. This tree if not watered would wrinkle and so let us water the TREE of reform with initiative from the LGUs. The seeds of reform starts with the local governments. No gigantic amount of our talking in the Assembly will replace the amount invested by LGUs in making development felt by our constituents. Their burden is closer to the people being WITH the people in LIVING with the people. If we are able to inspire our citizens to pay their taxes, these revenue collections can be used to put up more water systems for our mothers to provide clean water for their kids. If we are able to put our national wealth share in LANAO to putting up fish or tree nurseries, and development projects for host communities in Lake Lanao province of Lanao del Sur, then 40 years of National Power Corporation would have mattered. I join my RLA colleague, Assemblyman JUNI ILIMININ (Chair of Local Governments) in asserting that the IRA is not to be seen as personal property. It should be treated as an AMANAH (trust) and be delivered and reported to the people. Award barangays and schools that observe environment and sanitation laws on Solid Waste Management Act (recycling, reusing, reducing). May I take this opportunity to campaign for LGUs to implement the Gender and Development (GAD) Code that urges LGUs to appropriate 5 percent of their development funds to GAD programs that empower women . When we take care of the women, we take care of the Bangsamoro society for they are the managers of the household which is the homeplace and face of Islam. May I also congratulate the best efforts of ARMM LGUs that have obtained recognition ie Lamitan (Civil Service Excellence Awardee), Upi and even Wao, Ganassi, Kapatagan and Wato/Balinding in my province of Lanao del Sur for their pro-active work in good governance and eco-tourism. Mabuhay ang Bangsamoro, Mabuhay ang mamamayan. Takbir! Davao City - Eleven trainers who have been privileged to go on a study tour around Comilla, Mymensingh and Dhaka, Bangladesh to learn about the operation of BRAC schools are continuing their training in Davao City Philippines from June 9-12- 2012. Each of these eleven trainers represents a cluster within a Province. 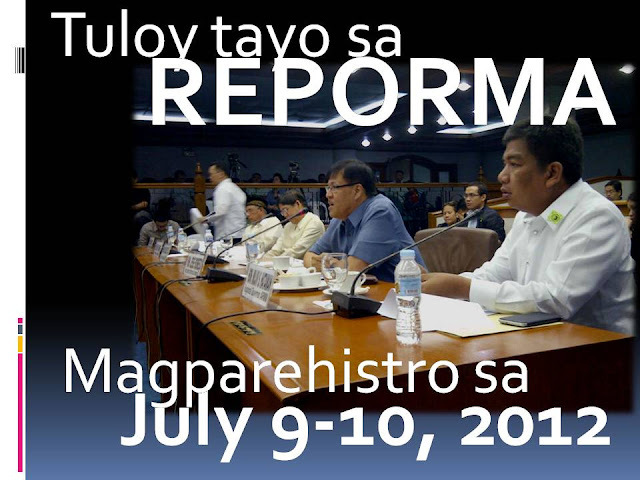 Similar to a ripple effect, participants coming from the same Province will be responsible to train those not only in their respective clusters but all the Learning Facilitators in the entire Province beginning June 16, 2012. 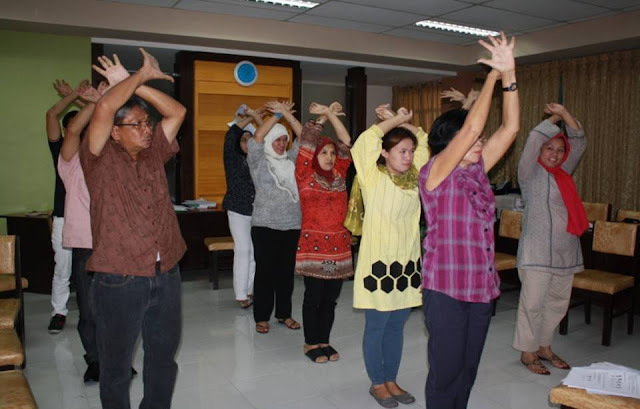 The wealth of experience these trainers learnt during the Study tour equips them with the capacity to implement the teaching and learning strategies suited to the children in ARMM. Local BRAC Education Specialist, Ms. Bella Lanestosa, who had recently been to Bangladesh with the eleven participants, along with two BRAC Advisers, M. Nurnobi Talukder, M. Ibrahim Khalil are working very hard to ensure this training becomes successful. Their commitment is being evidenced by their engagement and active participation in all the activities inside the training hall. At the commencement of this training, these trainers will go back to their respective Provinces and conduct Basic Training for Kinder (Pre-Elementary) and Grade 1 Learning Facilitators. The entire training will run for 4 days where 2 days is allotted for the training of Kinder facilitators and another 2 days for Grade 1 facilitators. The month of June is proving to be an exciting month for all the members of BRAC ADM Philippines. In all these activities, the eleven trainers involved in the training will each play a vital role in ensuring the success of this year’s implementation of BRAC Philippines. 31 May 2012, Dhaka (Bangladesh) - BRAC launched its operation in Philippines yesterday setting a lofty goal of bringing the light of education in the troubled region of Muslim Mindanao. This will be BRAC's 10th country where it has direct operation in place since the launch of its international programmes in 2002. At a ceremony held yesterday in Dhaka, Sir Fazle Hasan Abed launched the programme in the presence of senior representatives from Government of Bangladesh and Philippines, Development partner AusAid and BRAC. Sir Fazle said, “What BRAC brings to the Philippines is not just an education delivery system but a vision of a just and fair society which is based on educating our children. It’s through this partnership of vision and action that can take the people forward. With the support of the Philippines Government and development partners, we are hopeful to make great progress with this challenging task at hand”. Already operating in nine countries in South Asia, Africa, and the Caribbean, BRAC, the largest development organisation in the world, will operate at least 1,600 pre-primary and primary schools through its Education programme in Autonomous Region in Muslim Mindanao (ARMM), Philippines. “BRAC is working in different parts of the world not only to alleviate poverty, but also as a peacemaker. It is a torchbearer in the dark of illiteracy, the dark of poverty”, said PS- I (Secretary) to the Honourable Prime Minister Government of Bangladesh, M. Nazrul Islam Khan in his speech at the launching event. 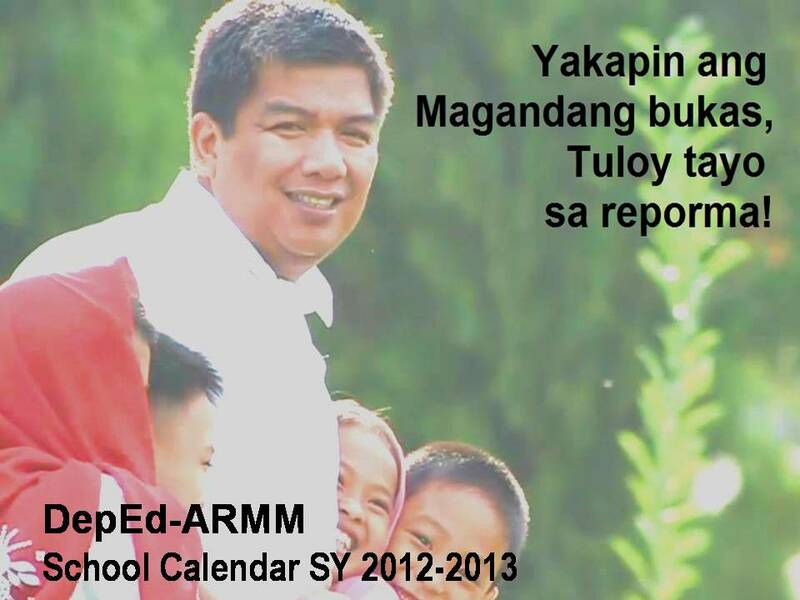 Public education in the Autonomous Region in Muslim Mindanao (ARMM) faces a shortage of teachers. The drop-out rates for basic education are high, while the completion rate is low. These problems are particularly acute in the conflict-affected areas of Mindanao, where there are as many school-age children and youth who have dropped out of school as those who are still in school. With the participation of officials from the Department of Education of the Philippines, a series of workshops was conducted by BRAC in the country to develop the curriculum and instructional materials which will be used in the BRAC schools in Autonomous Region in Muslim Mindanao (ARMM). The curriculum will primarily utilise the Philippine’s standard proficiencies for pre- primary and elementary education, enhanced in the local cultural context, and delivered through the BRAC. 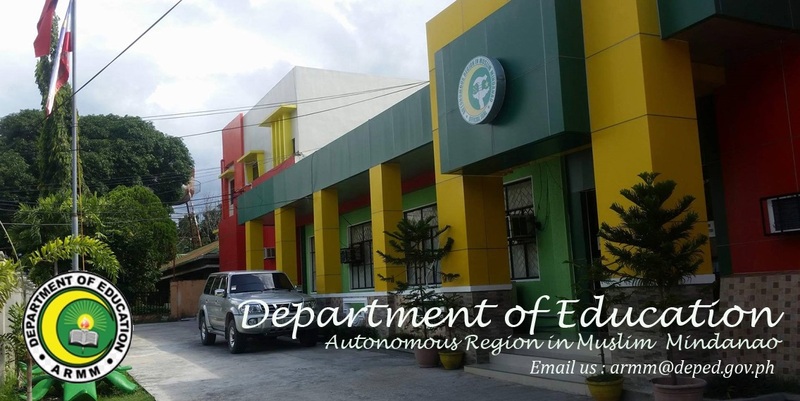 BRAC will manage and be responsible for programme implementation and will be working in conjunction with the Department of Education - Autonomous Region in Muslim Mindanao (ARMM). Local partner NGOs will also be involved in operating the schools. Evaluation has been integrated in the project to asses result and impact which will be conducted by SEARCA and BRAC. “We face extraordinary challenges in the ARMM and the BRAC model would allow us to become more effective in responding to the unique and difficult conditions that we face there. We also hope that we can also bring the BRAC approach to other parts of the country, where extraordinary and challenging conditions prevail”, said Francisco M. Varela, Under Secretary of Department of Education, Philippines, at the launching event of BRAC's education programme in ARMM in the Philippines. Under Secretary of Department of Education Philippines Francisco M. Varela, PS- I (Secretary) to the Honourable Prime Minister Government of Bangladesh M. Nazrul Islam Khan, Justin Lee, Australia’s High Commissioner to Bangladesh, AusAid Bangladesh Head of Mission Mark Bailey, H.E. Bahnarim Abu Guinomla Ambassador, Embassy of the Republic of the Philippines, Assistant Secretary of Programmes Department of Education in Philippine Maisara Dandamun- Latiph, AusAID Counsellor, Philippine Elaine Ward, Management Consultant of BRAC Philippine Ramon C. Bobier, Executive Director of BRAC Dr. Mahabub Hossain, Director of BRAC Education Progarmme Dr. Safiqul Islam, Director of BRAC Strategy and Communications Asif Saleh and high officials of government and BRAC were present at the launching event. With its innovative and cost effective approach to education BRAC now runs the largest secular private school system in the world in Bangladesh, Pakistan, Afghanistan, Uganda and South Sudan. Undersecretary Alzad Sattar, routine matters on Madrasah Education Program. Assistant Secretary Atty Maisara Dandamun-Latiph, routine matters on Program implementation and monitoring. Assistant Secretary Noor Mohammad Saada, routine operational matters pertaining to personnel and fiscal reforms. The memos are now being circulated. (3) – All hijrah dates subject to the usual moon sighting requisite and confirmation by respective religious bodies such as the Majlisul A’la lil Wa’di wal Irshad or the Darul-Iftah.